Well well, what do we have here? 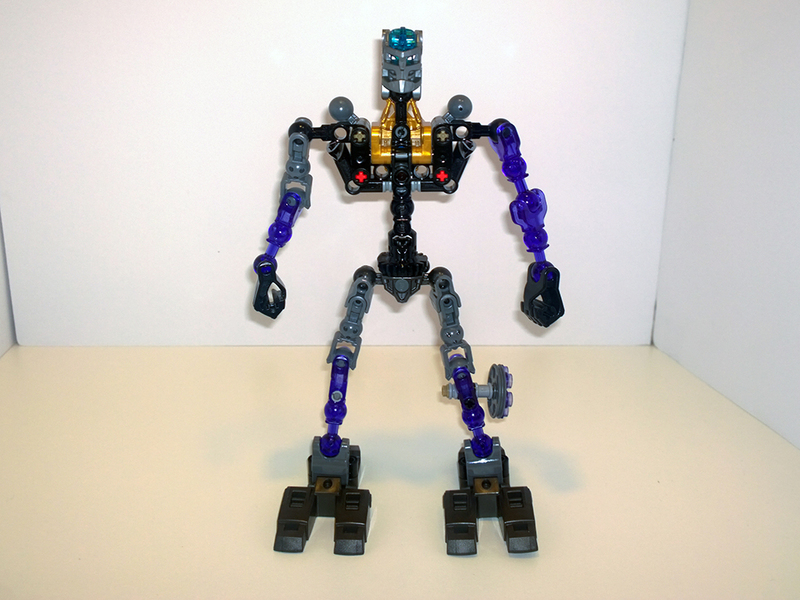 Onua, Uniter of Earth. One of the power hitters of Winter 2016, but how does it hold up 6 months after release? Let’s find out! 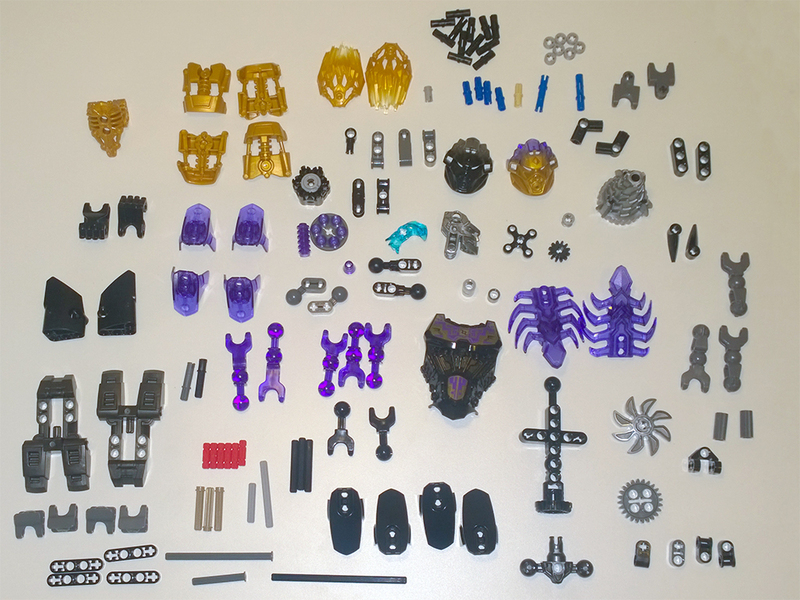 As you can see, Onua has a wide array of stuff with a full count of 143 parts. 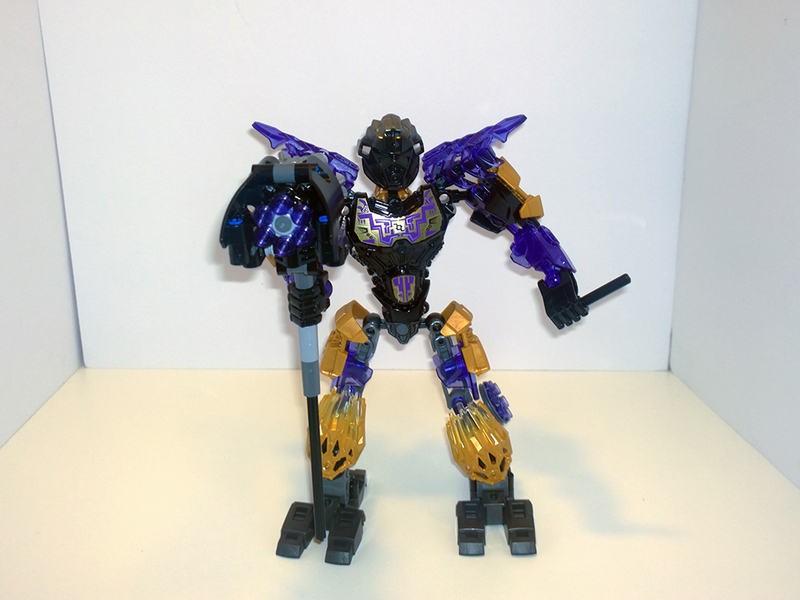 Transparent purple, gunmetal gray and black are the primary colors in this scheme. 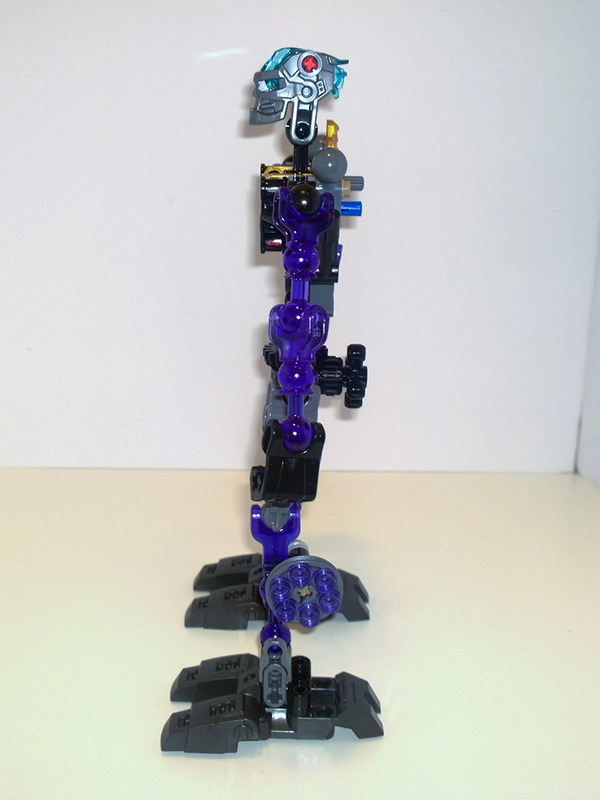 One of my favorite parts of it is the Skull creature spine elements in trans purple, first featured in the Skull Basher set. 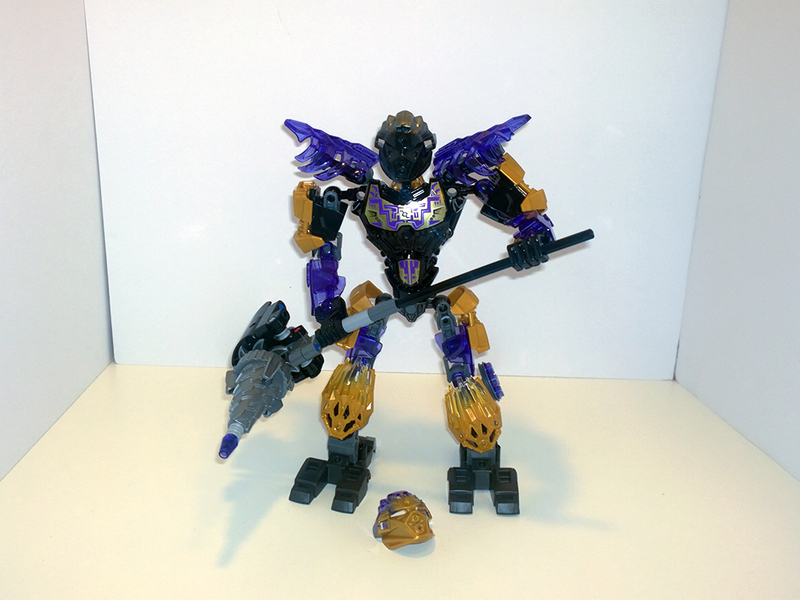 Other useful parts are the gold piston armor pieces and the transparent purple armor pieces. I am also digging the elements that make up the drill hammer, very nice weapon that I wish I had photographed separately. I’ll cover that more later. Immediately you should know how these go together… is what I would have said in 2015. The new torso makes that statement very wrong this time around. 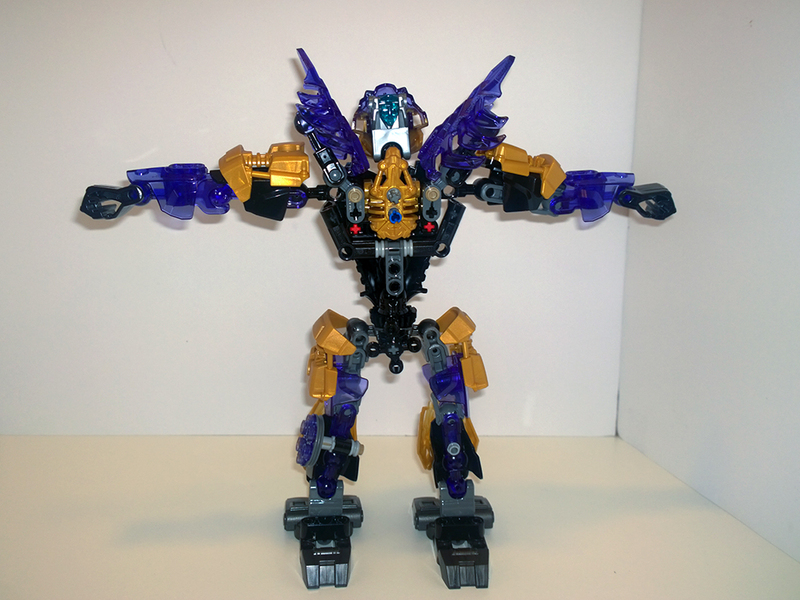 Once you get past it, however, the rest is fairly simple: Arms, legs, head. Only one set of gears (at the bottom torso) but I suppose that’s to make fair use of the new function, as well as to allow the friendly creature rider have his fun. With armor on, we are introduced to our friendly neighborhood tunnel dweller, more balanced than 2015 Onua and noticeably smaller. 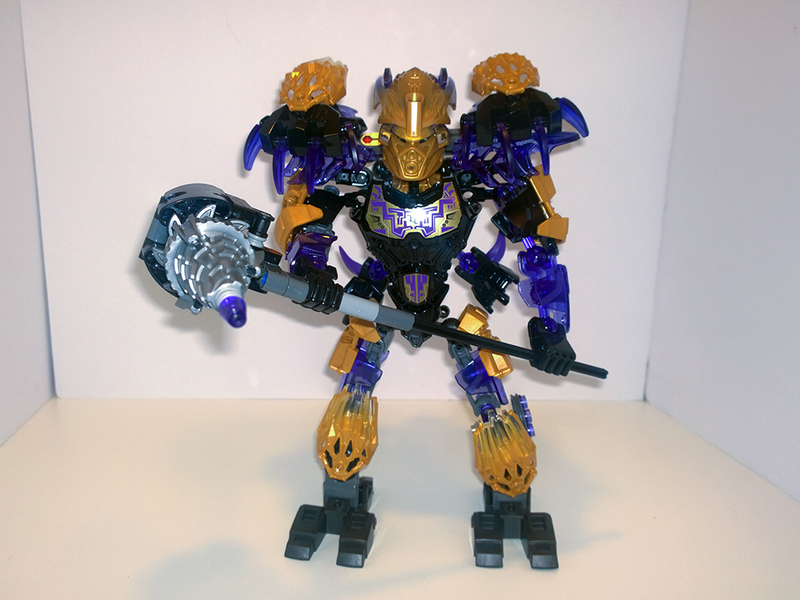 The torso armor is no longer the Stormer XL torso, but the standard that all Toa use, a change in which I welcome in keeping a consistent look, and at the same time lament due to a loss in character to a certain degree. Another small piece brought over from 2015 was the inclusion of gold masks in the sets themselves. 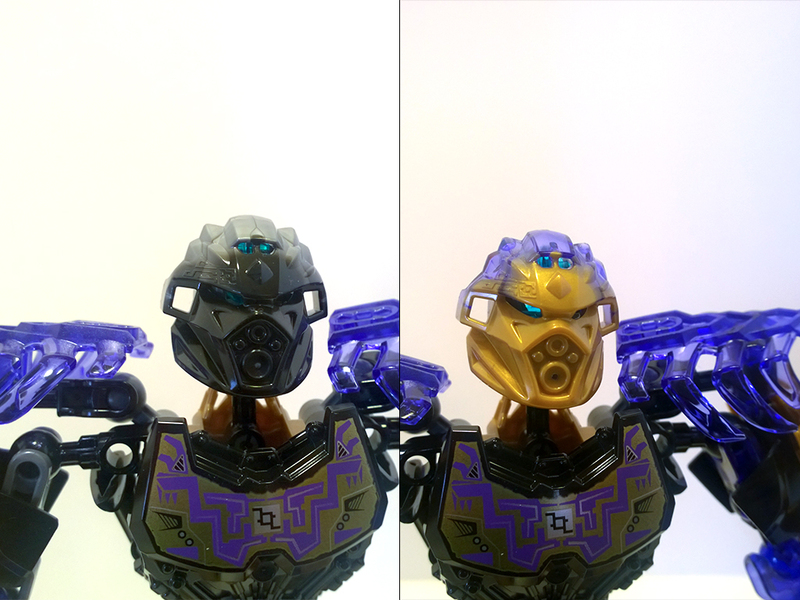 This is, of course, tied in with story to suggest these masks allow the unification of the creatures with the Toa, and I’m all for it since it means we don’t need to dig too deeply to get these masks (unlike 2001 where it’s still very difficult to get every mask possible out there). 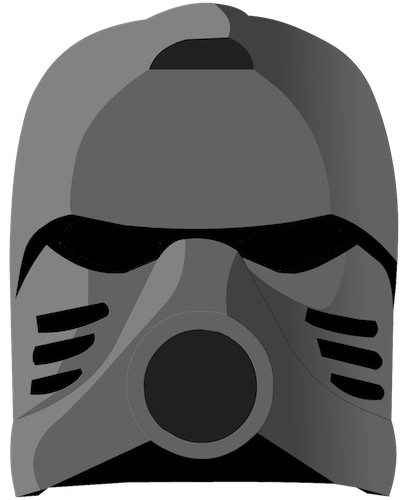 A small change, but for someone like me who wants to display these masks, it’s nice to have two in the set. Onua’s weapon is just awesome as a concept. The six-shot 1x1 round stud shooter element is easily one of my favorite elements ever made, and I believe this is the best use of it to date. It reminds me of Ekimu’s hammer, but more stylized and hidden. The set is great on its own, but of course the theme of this year is “Unity” and this set gets only better with a friend. When attached with Terak, Onua enters Uniter mode and can utilize his elemental Earth powers. In the real world, he just adds gold to his shoulders and covers up the awesome trans purple section of his mask. A good design, a solid effort, but ultimately it’s a cute gimmick and certainly easier than 2015’s Powered Up mode to use. Should I get this set? 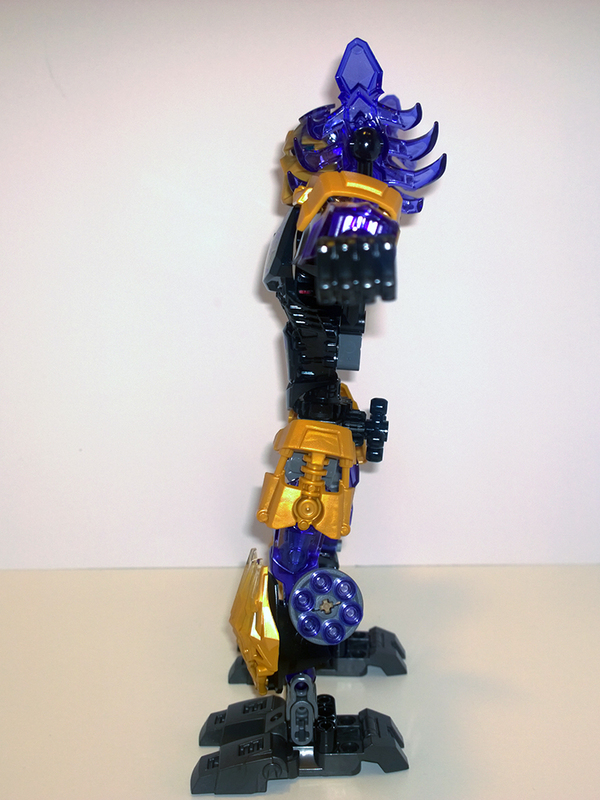 • Color balance – Need to make a black, gold and purple MOC? Buy some Onuas! • Playability – It doesn’t look like it from my photos, but Onua is easy to play with. • Uniformity – Obviously different from ’15 Onua, and it definitely shows side-by-side. 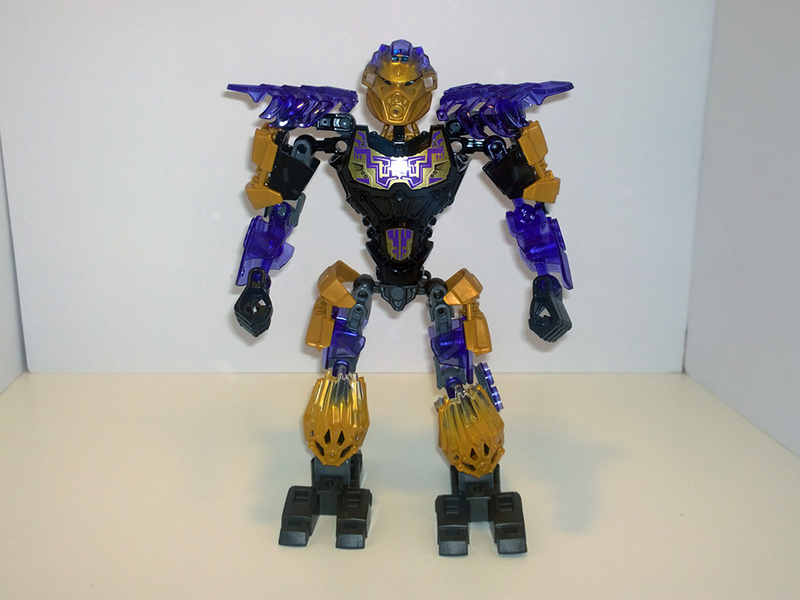 Onua definitely looks and feels like the right set to follow up the solid return of Bionicle, and I am happy that I was allowed to take a quick look back at this set. If you can find it in your stores, and for some reason haven’t picked it up yet, give it a quick buy. I highly recommend it.